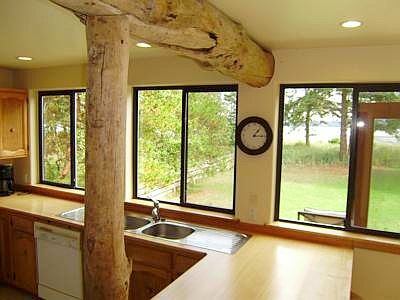 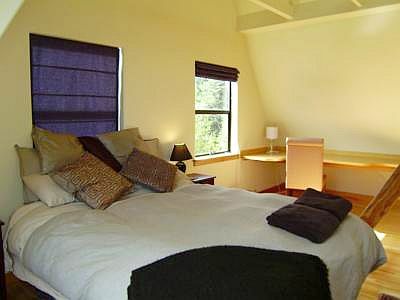 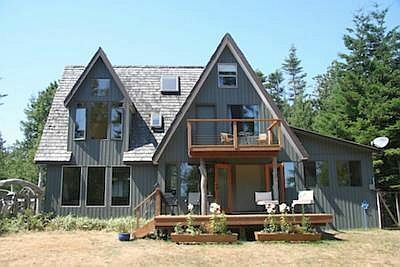 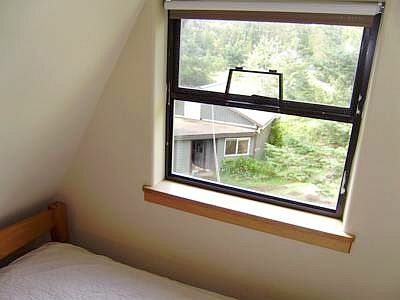 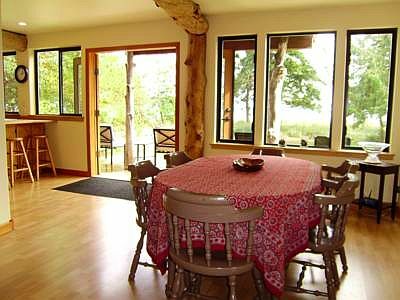 Denman Island Beach Retreat is located in the beautiful and picturesque Northern Gulf Islands. 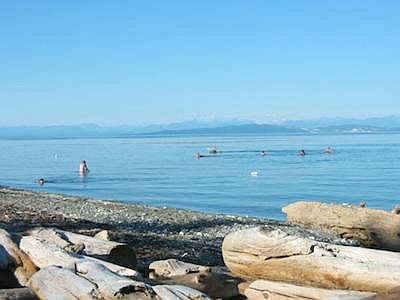 Just a 15 minute drive south of Courtenay and the Comox Valley and 1 hour north of Nanaimo gets you to Buckley Bay, the gateway to Denman Island which is a short 10 minute ferry ride away. 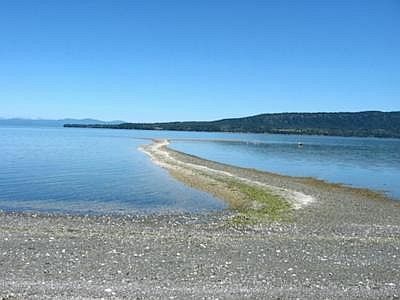 Denman Island can be your Gulf Island getaway. 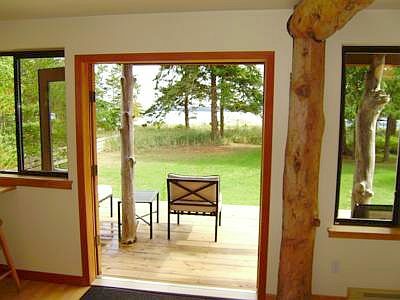 Come and relax at the Denman Island Beach Retreat. 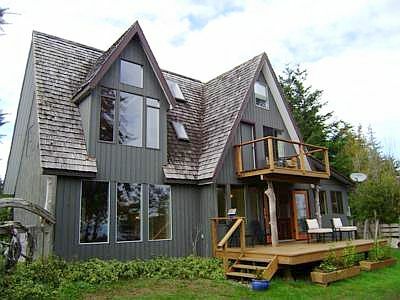 Enjoy the tranquil settings of this beautiful 4 bedroom sandy walk-on beachfront home. 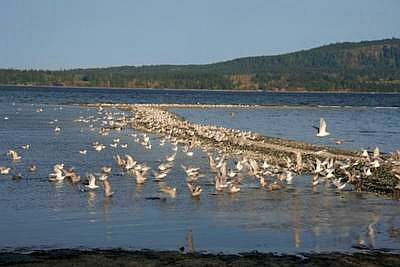 Stroll on the beach or get your spotting scope out and view the birds and sea mammals. 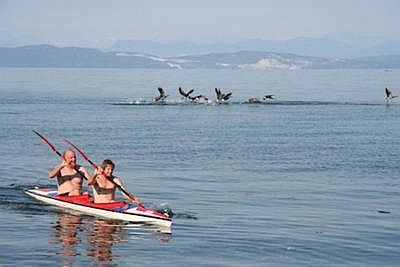 Herons, loons, and eagles as well as sea lions, otters, and seals are common sightings. 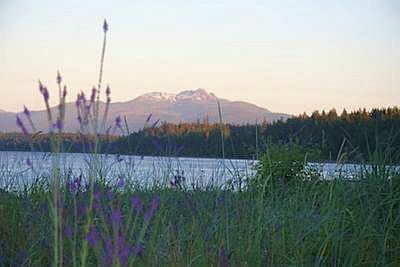 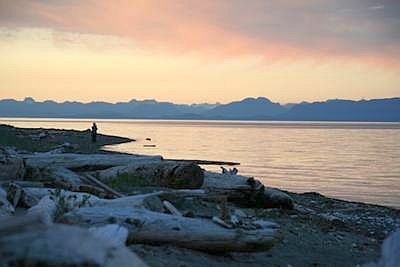 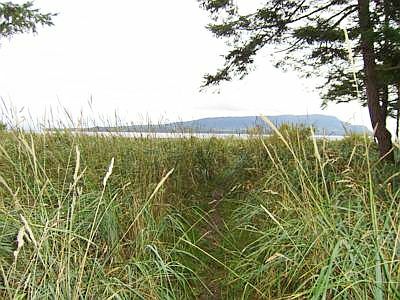 Fillongley Provincial Park is just a short walk away with plenty of opportunities to explore the multiple trails and sights Denman Island has to offer. 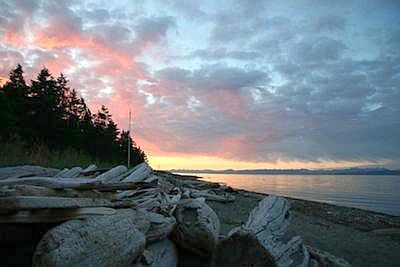 The sheltered coastline and small bays make it an ideal spot to explore by canoe and kayak, as do the lakes and marshes nearby. 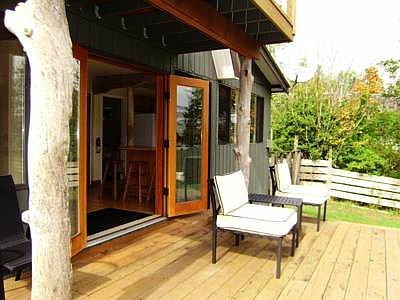 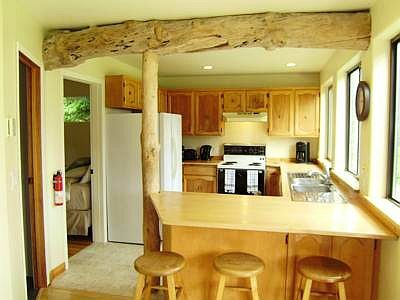 This double A-frame house boasts an open plan design with driftwood post and beams opening up to a large deck and a commanding view of the ocean, Hornby Island, and British Columbia's Coast Mountain Range. 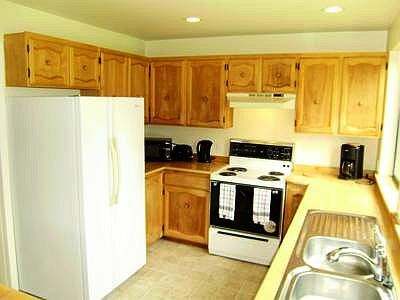 Main floor living, dining and full kitchen areas face the water. 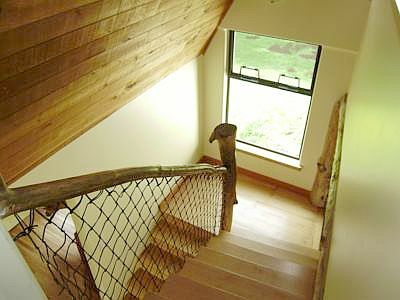 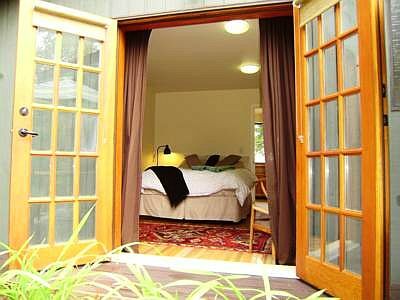 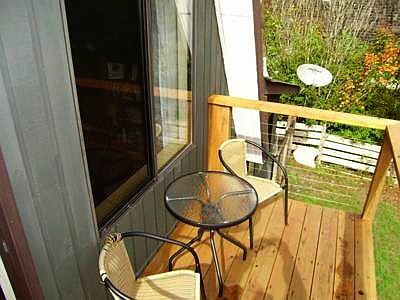 A bedroom behind the kitchen features a private deck overlooking the garden. 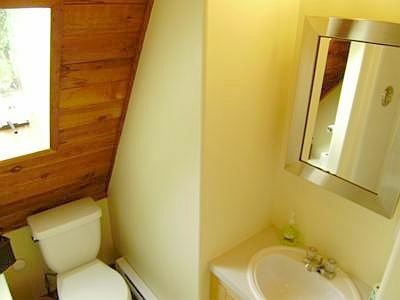 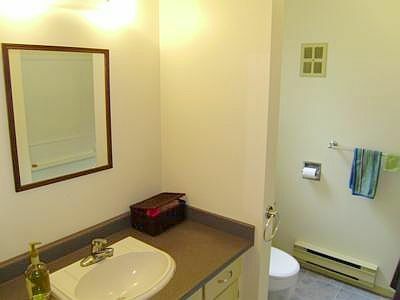 Full bathroom, separate mud room entryway and laundry room are also located on the main floor. 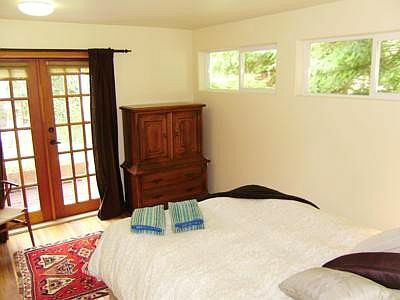 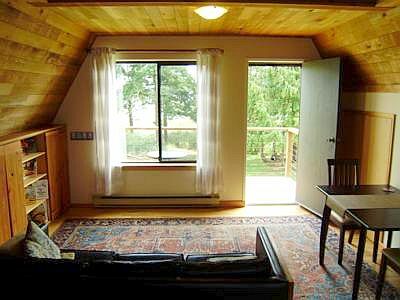 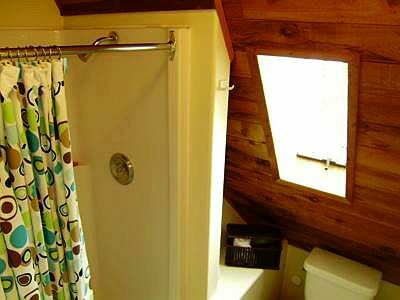 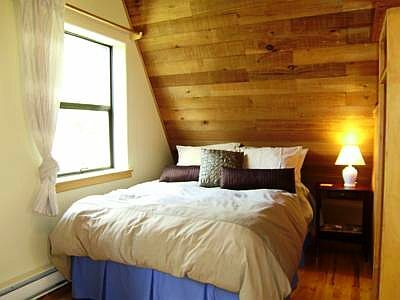 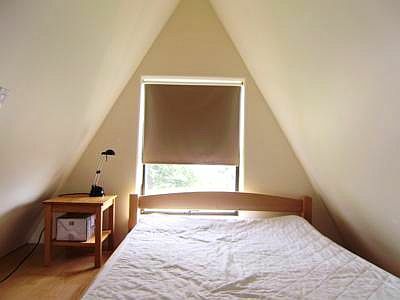 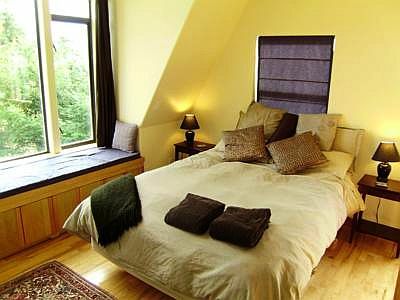 Upstairs is the master bedroom with a dormer window seat and vaulted ceilings to take advantage of the ocean view. 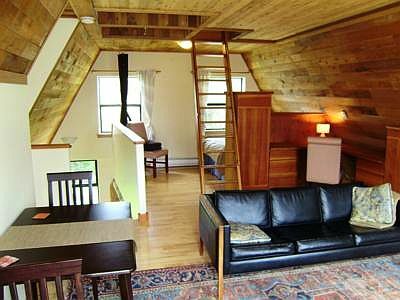 A loft above can be used for study, meditation, or sleep. 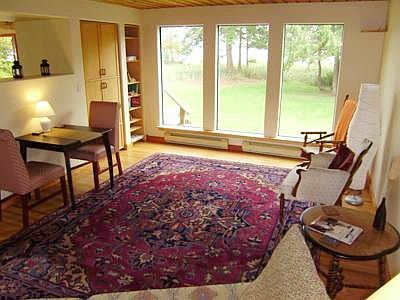 In addition, there is a washroom, semi open plan bedroom, two cozy sleeping lofts and living area opening up to another deck facing the ocean. 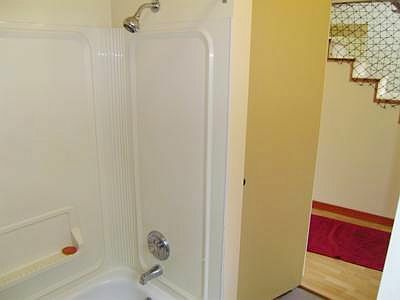 Heat is clean and electric in all spaces. 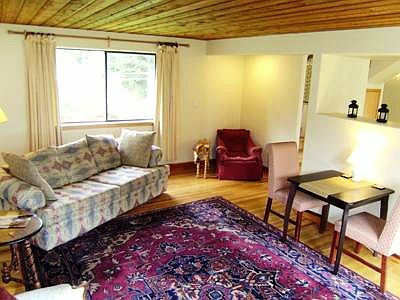 Key services in the community include a health clinic, 3 doctors living on the island, fire and ambulance services, post office, community centre, senior centre, an Anglican and United Church, community school, hardware store, general store, book store, realtors, art centre and gallery as well as bistros and restaurants. 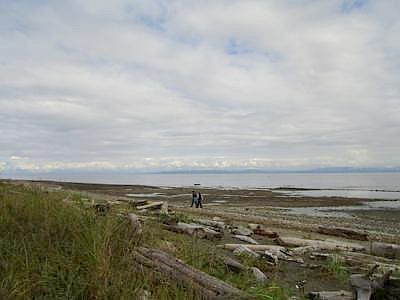 Denman Island is also home to a wide variety of artisans, from potters to painters, to carvers and mixed media artists. 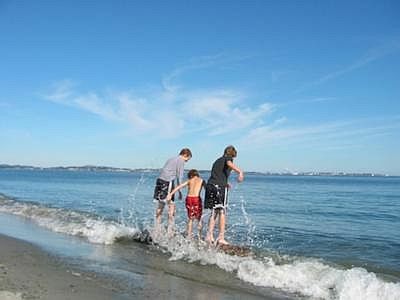 The islanders are friendly and welcoming. 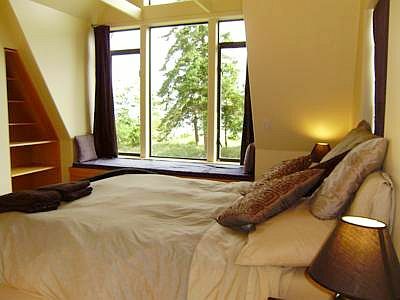 They will help make your stay a memorable one.